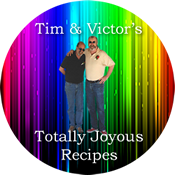 This recipe comes from Tim Morton, a former co-worker, and a really swell guy! He gave me a jar of it and after the first bite – I HAD to have the recipe! As he says in the recipe, lots of things can be altered or changed. Use any variety of ingredients to suit your taste – or what you have on hand! Preheat oven to 300° . Toss the dry ingredients together – but not the dried fruit – then add the oil and sweetener and toss again to coat thoroughly (I use a large Tupperware container for this – seal and toss the dry ingredients, add the wet stuff, seal and toss, again.) Spread the mixture onto two sheet pans or two 9×13 pans and bake for 30 minutes, stopping every 10 minutes to stir and turn the mixture so it browns evenly. After it comes out of the oven, add the dried fruit. As it cools, it will lose its stickiness and become crunchy. You can use less oil or less sweetener and get similar results if you’re looking to cut calories.